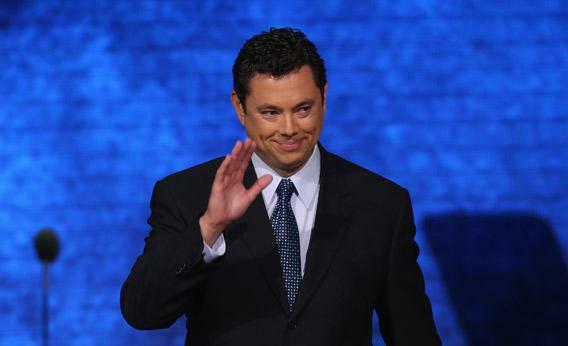 Internet radio royalties: Chaffetz, Polis, and Wyden introduce new legislation to fix the system. If you are like most of the millions of people who listen to Sirius XM satellite radio or Internet radio services like Pandora or Last.fm, you probably don’t give much thought to the underlying—and fundamentally flawed—framework that governs digital music broadcasting royalties. But you may want to perk your ears up, because under the Internet Radio Fairness Act of 2012, a bill introduced [PDF] in the House last week by Reps. Jason Chaffetz, R-Utah, and Jared Polis, D-Colo., and in the Senate by Sen. Ron Wyden, D-Ore., that system may finally get fixed. Or, under a competing bill expected from Rep. Jerrold Nadler, D-N.Y., it could get even worse. Depending on which bill succeeds, Internet radio may flourish or flounder. To understand why the current system is so badly in need of repair, it’s helpful to start by taking a step back. Songs have two types of copyrights—one for musical compositions (for example, the words and music of “I Heard It Through the Grapevine,” written by Barrett Strong and Norman Whitfield) and the second for sound recordings (such as Marvin Gaye’s classic 1968 rendition). Owners of musical composition copyrights are typically songwriters and music publishers, while sound recording copyrights are usually held by recording artists and record labels. Under rates set by the CRB using the 801(b) standard, Sirius XM pays 8 percent of gross revenues for the use of sound recordings in 2012, up from 6 percent in 2008 and 7 percent in 2010. Sirius XM’s rates for 2013 and beyond have not yet been determined, but are likely to rise into mid-teen percentages in the coming years. Pandora, however, paid nearly 50 percent of its revenues in sound recording royalties during its 2012 fiscal year ending Jan. 31, 2012, and appears on track to exceed that percentage in FY2013. And that is after a 2009 agreement provided a substantial discount to CRB willing buyer/willing seller rates that risked driving Pandora and other webcasters out of business. And if that’s not confusing enough, AM and FM stations pay zero sound recording performance royalties for their terrestrial over-the-air broadcasts under a decades-old exemption (though they do pay royalties for their Internet streams). Today’s landscape for digital broadcast royalties was largely shaped by legislation enacted during the 1990s, when the music industry, traditional broadcasters, and Congress were struggling to come to grips with the growth of then-new communications technologies enabling the delivery of perfect digital copies of songs to consumers. But as so often happens when policy decisions are motivated more by fear of new technology than by recognition of the opportunities it creates, the resulting legislation ended up impeding growth rather than fostering it. Under the Digital Millennium Copyright Act of 1998, noninteractive digital audio services were partitioned into two categories based on, among other things, a snapshot of the digital music broadcasting industry taken on July 31, 1998. Companies such as Sirius and XM (now Sirius XM), Muzak, and Music Choice that were providing satellite or subscription services by that key date were grandfathered in and given access to the 801(b) standard. Internet radio, on the other hand, falls under the willing buyer/willing seller standard. Nearly 15 years later, there is wide agreement on the need to replace the two-tiered system with a single, uniform standard. But which standard should be chosen? The Internet Radio Fairness Act introduced last week by Chaffetz, Polis, and Wyden would use 801(b), while Rep. Nadler’s draft bill, called the Interim First Act [PDF], would adopt the willing buyer/willing seller standard. Additionally, Nadler’s draft bill would in effect do an end-run around the terrestrial broadcast exemption by tacking on increased fees for AM and FM stations’ online streams. Good copyright policy requires a balancing act. As the Supreme Court explained in a 1975 ruling, the fundamental purpose of the copyright system is to provide an incentive “to stimulate artistic creativity for the general public good” and promote “broad public availability” of creative work. Setting music royalty rates too low is unfair to recording artists, and lowers the incentive to create music. But if royalty rates are too high, as has occurred with Internet radio, companies providing broadcasting services will continually struggle to turn a profit, impeding market—and ultimately royalty—growth. Despite the innocuous-sounding name, willing buyer/willing seller requires identifying “market” rates in the absence of a true competitive market. Unsurprisingly, this has produced skewed results. For these reasons and more, the Internet Radio Fairness Act of 2012, which would move to a uniform 801(b) standard, is the far better path forward. That said, the bill isn’t perfect. For example, it contains a provision intended to increase the expertise of the judges appointed to the CRB. But as anyone who actually studies their rulings will quickly conclude, the CRB judges have consistently produced careful, considered, and meticulously explained decisions. The flaw in the system isn’t with the competence of the CRB judges. It’s in the copyright royalty framework they are required to implement. Fixing it could allow a promising industry to flourish, generating jobs, providing more revenue opportunities for artists, and giving more choices to consumers. And that would be music to everyone’s ears.